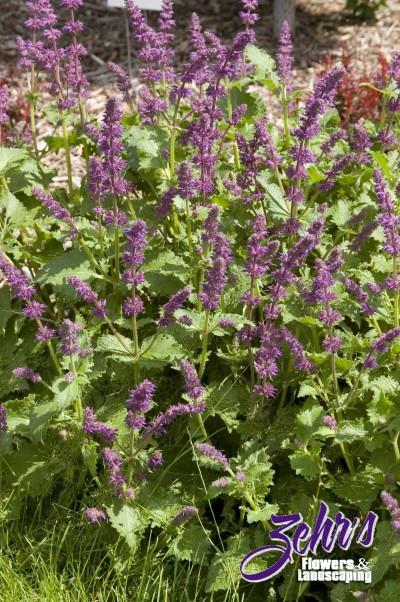 It forms a mound of fuzzy, serrated leaves rather low to the ground, and blooms in July through September with spikes of smoky-purple flowers that rise above the mound of foliage. If kept deadheaded it will bloom continuously right through autumn. Use as a single specimen in the garden, or use in mass plantings. Plant in average well-drained soils.